Design your own Team Golf Outfit. Nothing’s better guaranteed as a conversation starter than a really great golf team outfit: charity and corporate golf days… a fabulous golf holiday with friends…that all-important club event – the more original the outfit the more likely you are to be noticed – and as our photos show the more likely you are to have a whole heap of fun! 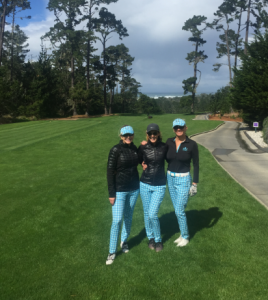 Pohli’s recent trip to the fabulous Pebble Beach resorts certainly got everyone talking as our super sassy Milton golf pants made their way up the fairways! A complete matching outfit is one way to stamp your mark as a team to be reckoned with. 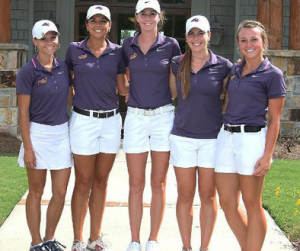 The more you can tie the look together, using accessories such as golf visors, socks and even hair ribbon or scrunchy the smarter the look, as the team below demonstrates. Using just one matching piece of clothing – a golf skirt, top or golf pants can work just as well however – but the more distinctive the item the better. Bass Straits Masters – Loud Mouth pants certainly meet the bill for being distinctive! You can also use colour as the theme, but if you do, remember to match the colour as closely as possible – preferably buying from the same clothing manufacturer. This look works much better if each team member wears two items – like a golf visor and golf skirt – in matching colour and pattern. 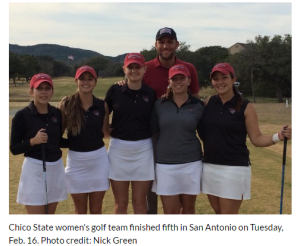 One of the great advantages of using colour as the team theme, of course, is that each team member can choose to wear a golf skirt, pants or shorts, and long sleeve, short sleeve or sleeveless golf top – which overcomes the problem of finding an outfit that suits everbody. These girls look great in a simple colour matched team outfit and the red visor lifts the colour scheme. This outfit stands out by using a good golf top in a distinctive colour. Matching white belts would have tied the look together a little better. 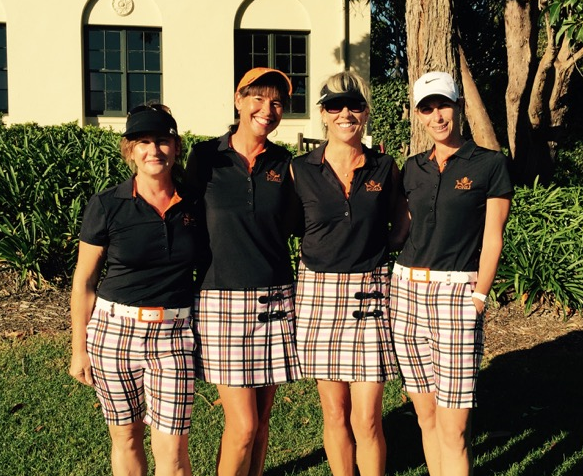 If you want to go all out and design your own team outfit drop Pohli a line at info@pohli.com.au. 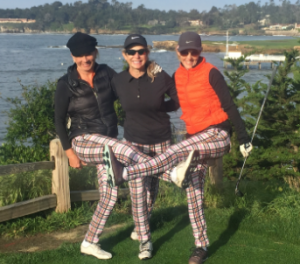 We can give you some ideas and indicative costings for options using your very own fabric pattern and/or golf skirt and golf top designs. 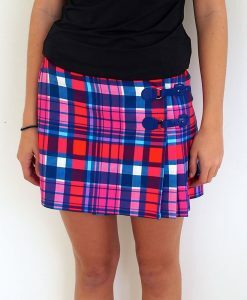 Incorporate your logo, your golf tour motto or team colours in an outfit that is uniquely yours! 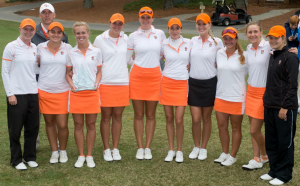 Women’s Golf Skirts – The “Length Debate” continues.